Hashtags are a great tool to track conversations about brands, companies, or events. They make it easy for users to follow discussions and keep up with the conversation, as well as allowing brands or event organizers to easily measure the buzz around their event. A good hashtag can help spread the message about your brand, company, or event far beyond your regular audience. Using social media analytics like Talkwalker’s Hashtag Campaign IQ App, instant and in-depth hashtag tracking is now possible. 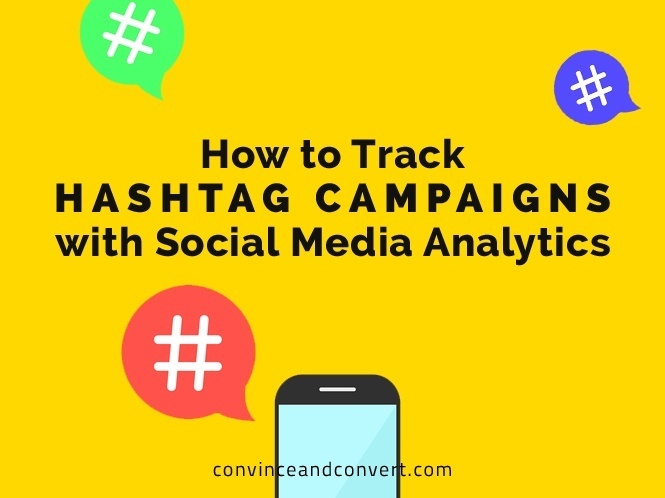 All the relevant social media metrics for your hashtag such as buzz, engagement, and reach can be measured and compared against previous campaigns and competitor campaigns. Using this information, companies, organizations, and even individuals can refine their campaigns and make sure they stand out from the crowd. A current example of a widespread event-related hashtag is #FIFAWWC, the official hashtag of the FIFA Women’s World Cup in Canada. Let’s take a brief look at the performance of the tournament’s official hashtag. When the USA and Japan were competing for the World Cup, buzz for the event was increasing all the time. A major peak came during and right after the semi-final match between Germany and the United States with more than 37,000 mentions per hour, versus just 18,000 for the second semi-final between Japan and England. With football nations Germany and England competing for 3rd place on July 4th, the buzz around the World Cup and mentions of #FIFAWWC were sure to see a few more big spikes. Keeping track of the online community’s reaction to the big finale was essential for FIFA to gauge sentiment and reactions to the event. During any event or campaign, users are likely to create their own hashtags in addition to the original one. For #FIFAWWC, fans of course use match-specific hashtags such as #USAGER for the USA vs Germany semi-final, or country-specific hashtags for each participating team. Many mentions also include the #BeTheDifference and #SheBelieves campaigns, the latter having been launched by Twitter in collaboration with the US national team. Tracking hashtags to see which new ones are mentioned in context with the official hashtag allows FIFA to see if fans are more inclined to use the official event hashtags or if they prefer fan-generated hashtags. Analyzing sentiment towards a hashtag and tracking negative and positive mentions around it make it easy for the creator of a hashtag (in this case, FIFA) to monitor the success and popularity of the event. Here, the graph shows a sharp increase during times when major matches of the World Cup were being played, showing that the fans were, in fact, using the official hashtag—although as seen above, often in combination with match-specific hashtags. An in-depth analysis of their hashtags’ performance makes it easy for event organizers to see which ones create positive buzz, allowing them to refine their communications across their social media channels based on these insights. 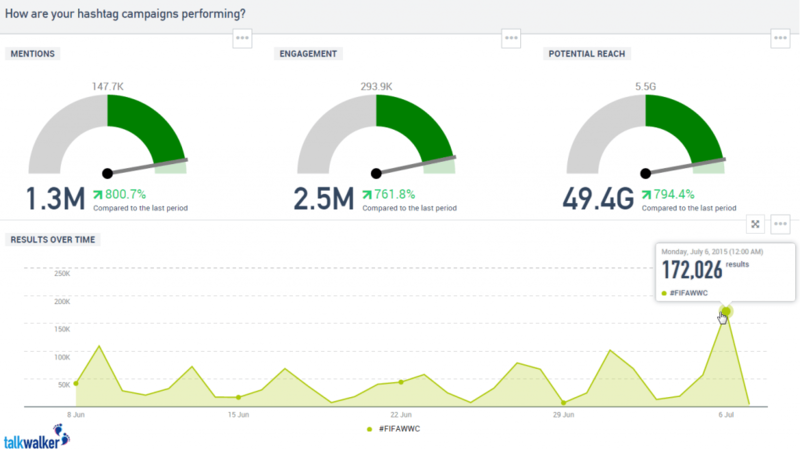 Using social media analytics hashtag tracking is easy, whether it be an event-related hashtag like #FIFAWWC or a more conventional brand hashtag like #Twitter. Ingrid is responsible for Talkwalker’s online PR and takes care of the social media channels. She's as passionate about social media as she is about coffee and books.